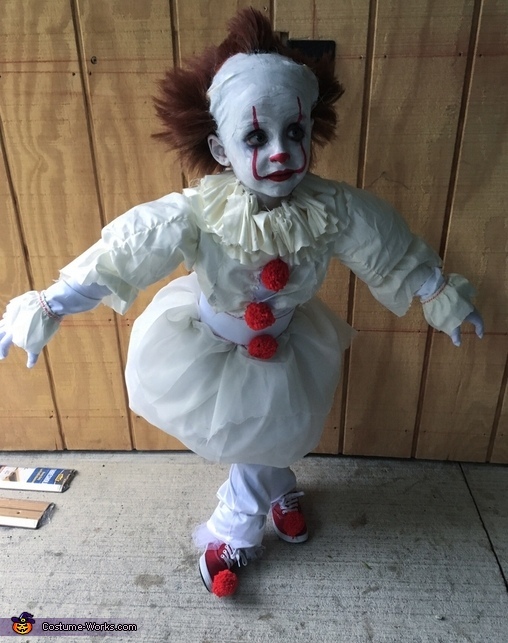 My son wanted to be Pennywise from Stephen Kings movie It, and I was not gonna spend $60 and up on a costume for him so I decided to make it from scratch. I bought curtains and sheets from goodwill for the clothes/outfit which I hand sewed because my machine is broken ,and for the wig I took a bald cap that I got from spirit Halloween store and got synthetic hair from Sally's and I cut and glued the hair onto the bald cap with latex. I spent a total of $15 on the costume and it turned out perfect.